RSPCA ACT: Sit. Stay. Good dog! What is temperament testing and why do we do it? 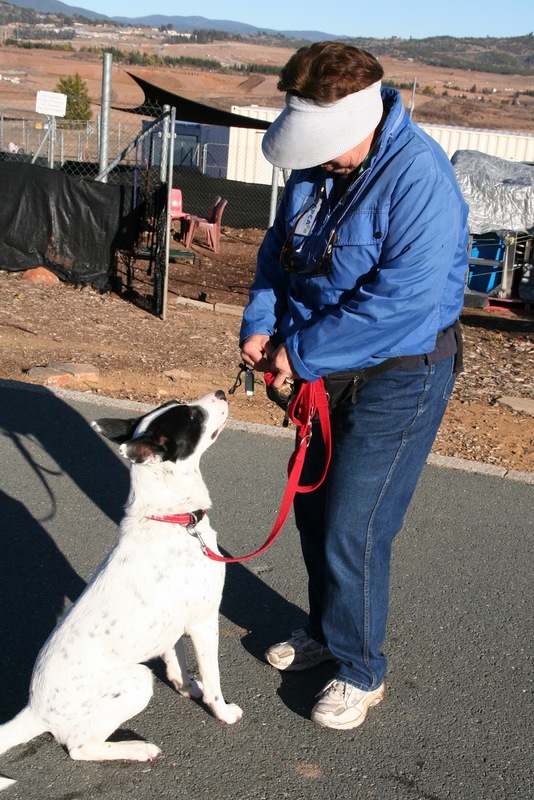 Dogs at RSPCA ACT undergo comprehensive behaviour testing before being made available for adoption. We test dogs to learn about their temperament and personality so that we are better able to match them to a suitable family. The types of traits that we test are: sociability; touch; vet checks; toys and play; food treasures; strangers; toddlers (with a dummy, not real toddlers! ); mental sensitivity; other dogs; containment; and previous training. We also collect detailed information from previous owners wherever possible. If we identify any behavioural issues that need addressing, our qualified and experienced staff develop a behaviour modification program which is implemented by trained staff and volunteers. Behaviour modification programs could include issues such as basic manners and walking nicely on lead, to rebuilding confidence and addressing problem behaviours. After several days of training, we will retest the dog. 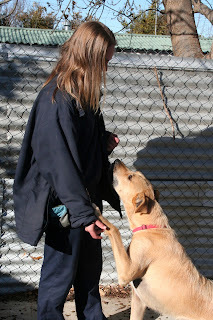 If the dogs fails the test again, but has shown improvement, we will continue the cycle of training and testing until we believe the dog can be made available for adoption. If there is no improvement or the behaviour could result in harm to either a person or another animal then the dog will not be made available for adoption. A dog never fails a temperament test for just being boisterous or ill-mannered as these are training issues (not temperament issues) which our team works with and improves. A dog doesn't have to be perfect to find a new home, but we need to learn what we can about their behaviour to find the perfect home for them. We understand that the shelter environment can be stressful for some dogs and we of course take this into account during testing. While dogs are staying with us at RSPCA ACT, we are committed to keeping dogs mentally healthy through physical stimulation and the use of environmental enrichments. Congratulations to Frances, our Senior Behavioural Trainer, on being awarded Shelter Worker of the Year by the Association of Pet Dog Trainers.